The Brief: This piece was inspired by a prompt by Lauren Hom for her #homwork series on the little lies we tell ourselves. I’m definitely a planner, and a to-do list is often at my side, waiting for items to be checked off. I definitely feel like the day was well-spent if I accomplished a lot of things, and checking things off the to-do list gets me there. 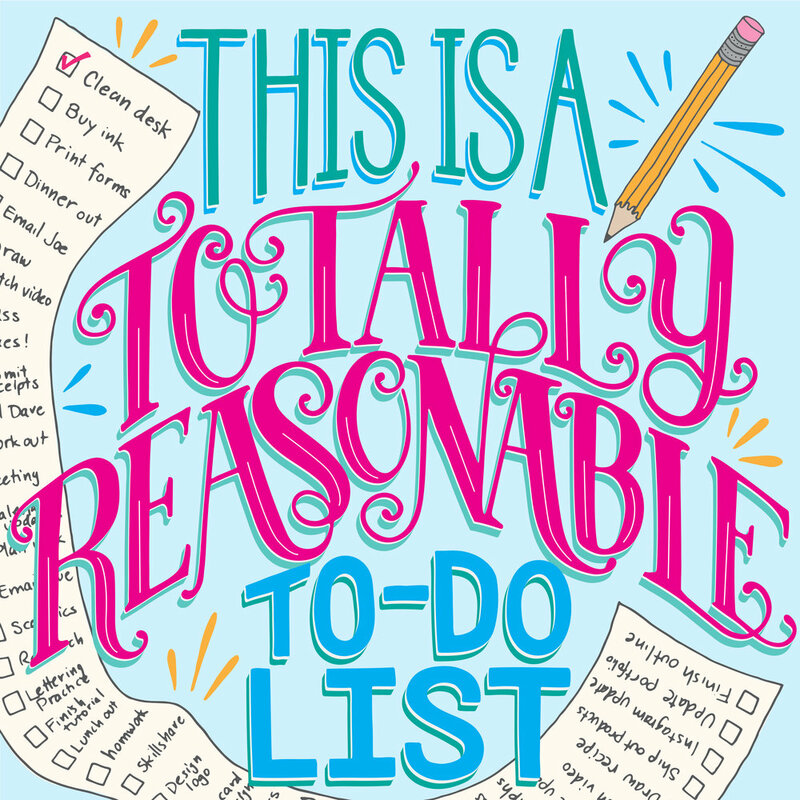 However, I’m the worst estimator, or the most optimistic of my time spent on certain things, so I always have a much longer to-do list than is humanly possible to do. Even when I scale it back, it still seems too long… so, this piece is a reflection of my weekly ritual of shuffling things to the to-do list for today, then moving them back to another day for a more reasonable assumption of my time and possible efforts. C’est la vie! This piece was started on pencil and paper, then inked on paper, and then scanned into the computer. The vectorizing and colorizing was done in Adobe Illustrator for the finished piece. Sketching in progress… various pencil sketches, and inked elements.